Wow, we’re already on day 3 of the 7 Days of Sunflower Printables for Kids! My son enjoyed day 1’s counting puzzle so much that I decided to use the same idea for today’s Sunflower Petal Beginning Sound Matching Puzzle. One to two sheets of paper. 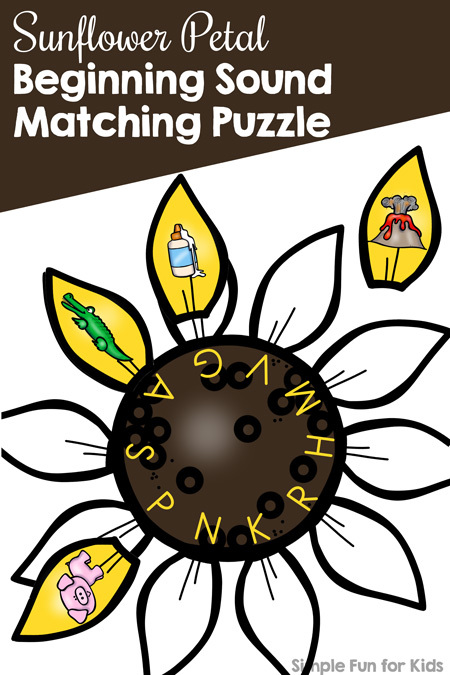 The file includes three sets of beginning sound matching puzzles. Each set consists of a round seed area with 10 different beginning sounds around the outer edge and 10 petals with images that match the beginning sounds. There’s a total of 30 beginning sounds and matching images. Each letter from A-Z is covered at least once. Each of the three sets can stand on its own, but I’ve also included layout templates that show younger or less experienced learners where exactly the petals go. Print out one or several sets plus optional layout template(s) if desired. Laminate for better durability and better handling. Cut out the petals with the alphabet images. If you’re not using the templates or the completely blank layout template, cut out the seed area(s) as well. If you decide to use any of the templates that already have the beginning sounds on them, you don’t need to cut them out (but you can). Match the images to the beginning sounds. 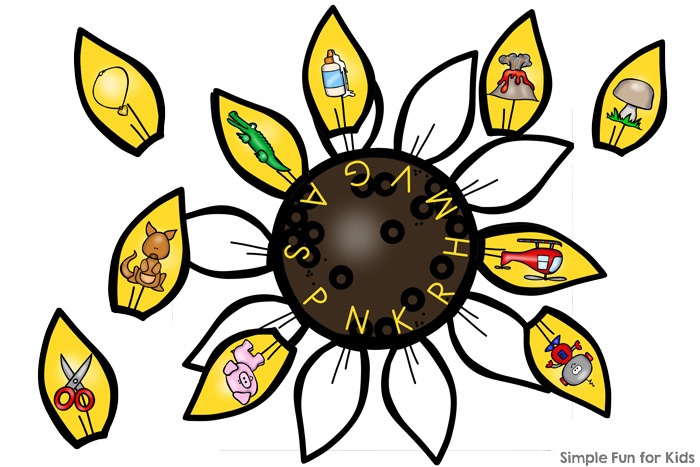 Download your Sunflower Petal Beginning Sound Puzzle! 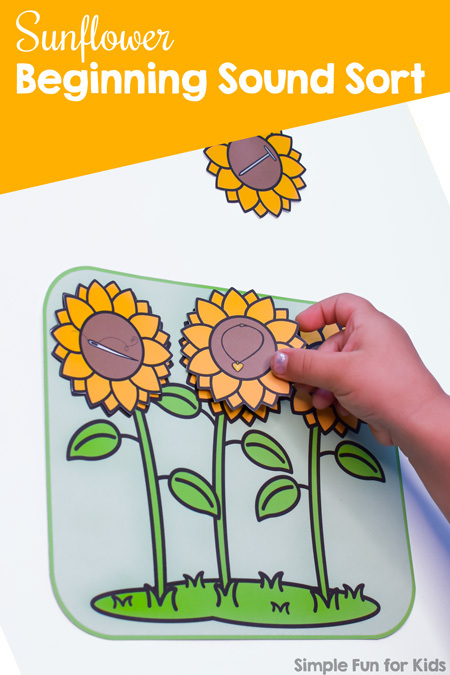 Sunflower Petal Counting Puzzle uses the same sunflower parts. Letter A-Z Mini Folding Book Bundle uses the same alphabet clip art. This cute Sunflower Beginning Sound Sort covers all letters from A-Z in uppercase, lowercase, and mixed case. Also includes two accountability worksheets (in two different versions each) and labels for easy storage.